Tensions between Amazon and Hachette have continued to escalate, and I know some of you are thinking, Why should I care? I buy online, and Amazon is convenient. While this situation is nuanced and complicated, what it comes down to is this: Amazon is working to become not just the largest retailer of books, but the only retailer of books. Their demands make it so that no one else can compete, and unfortunately authors are losing sales (and money) in the meantime. Indie bookstores, and even brick and mortar stores like Barnes and Noble, are an important part of our book culture. We need them. The thought of world without physical locations to buy and browse through books, staffed by knowledgable human people, is just too sad to bear. So to that end...you all are smart, savvy readers who like to use the internet to get your books. I get it. Maybe you don't have a good bookstore near you, maybe you just like your books delivered right to your mailbox. So why not check out these indie bookstore websites offering fall releases from Hachette that you can't get on Amazon? As an added bonus, you are supporting local businesses that pay taxes, most of these books are signed (and personalized!) by the authors, and some even come with GIFTS! 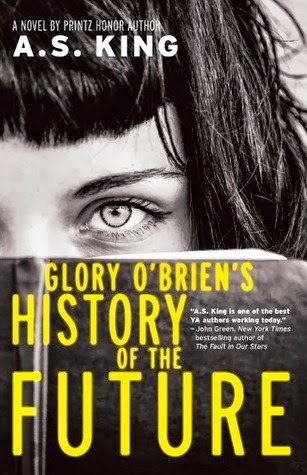 A.S. King's Reality Boy is out in paperback this fall, along with a brand-new release, Glory O'Brien's History of the Future. Get signed copies at Aaron's Books. Malinda Lo's second science fiction book, Inheritance, is coming out in paperback, and you can buy signed copies of all her books at her indie, The Booksmith. Buy signed copies of all of Holly Black's books at Odyssey Books, including recently released paperback copies of The Coldest Girl in Coldtown, and pre-order The Darkest Part of the Forest while you're at it. Carrie Ryan's middle grade debut with her husband John Parke Davis, The Map to Everywhere, is available at indie Park Road Books! The authors are offering a free gift with every pre-order! Barry Lyga offers links to a number of his favorite indie stores that you can purchase from. Check them out when looking to purchase Blood of My Blood, the third book in the I Hunt Killers trilogy! Not all authors offer signed stock through a local indie--some may not live very close to an indie bookstore, and it does take some set-up. But that doesn't mean that you can't still support indies, even if they aren't geographically close to you. Pick an independent bookstore in your state, or order from some of the famous indies across the country. Order from my indie, Great Lakes Book & Supply! (Shameless plug, sorry! But we do have many signed, personalized YA books on offer!) The point is--you have options as a reader and customer! Plus, I've been pleasantly surprised at the number of my favorite authors who offer their backlist titles, signed and personalized, through their indies. All it takes is a little Googling. Start with the author's website and their book pages--most have links to where you can purchase their books, and many include their local indies! It'll make the Christmas shopping season a lot easier!